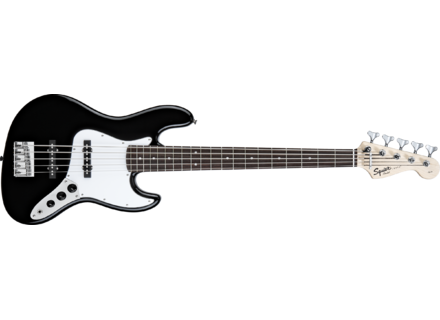 Affinity Jazz Bass V, 5+ string bass guitar from Squier in the Jazz Bass series. Squier introduced a new bass guitar model, the Affinity Series Jazz Bass V (Five-String) in Brown Sunburst. The Affinity Jazz Bass V (Five-String), Squier’s value-priced version of the Fender Jazz Bass, is now available in a Brown Sunburst finish in addition to the black model introduced in 2007. It too has the look and sound that everyone knows and loves, with a one-piece maple neck with rosewood fingerboard, single-coil Jazz Bass V pickups, top-load bridge and die-cast tuners, according to the manufacturer. For more information, go to www.squierguitars.com. DigiTech BP90 Bass Multi-Effects Processor DigiTech introduced the new BP90 Bass Multi-Effects Processor at the 2010 Summer NAMM Show in Nashville, Tennessee. Fleabass Summer NAMM Giveaway The Music Link, the U.S. distributor of Fleabass basses, will be giving away an autographed Fleabass during NAMM’s public “Wanna Play Music Sunday,” June 20, 2010 at 3pm in NAMM Booth #1336. Aguilar Agro Bass Overdrive Pedal Aguilar Amplification announced the AGRO bass overdrive pedal, the newest addition to their family of effects for bassists.